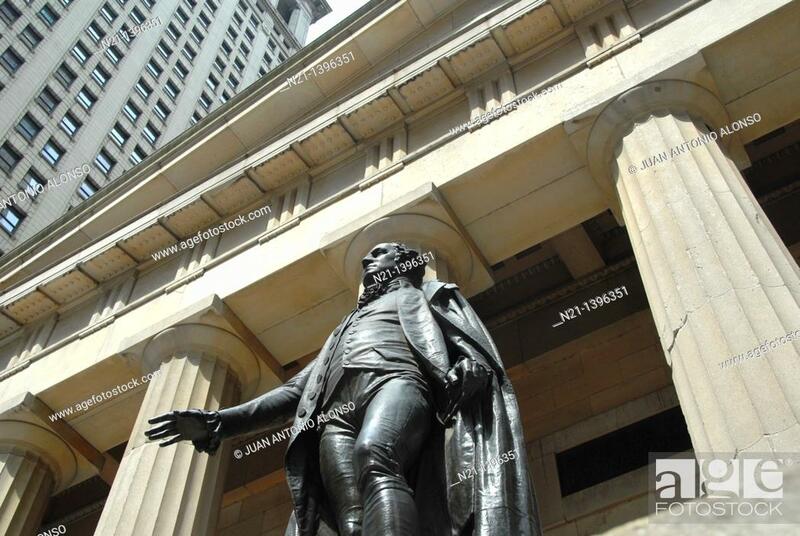 Stock Photo - Statue of George Washington in front of the Federal Hall National Memorial. Wall Street. Financial District. Downtown Manhattan. New York, New York. USA.